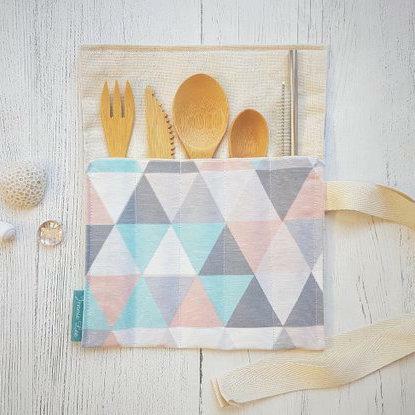 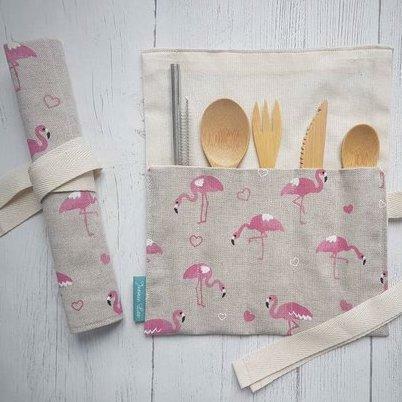 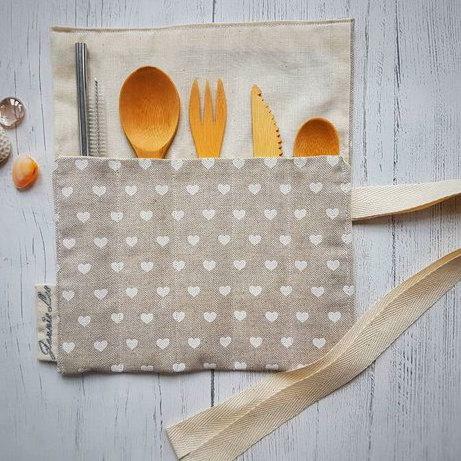 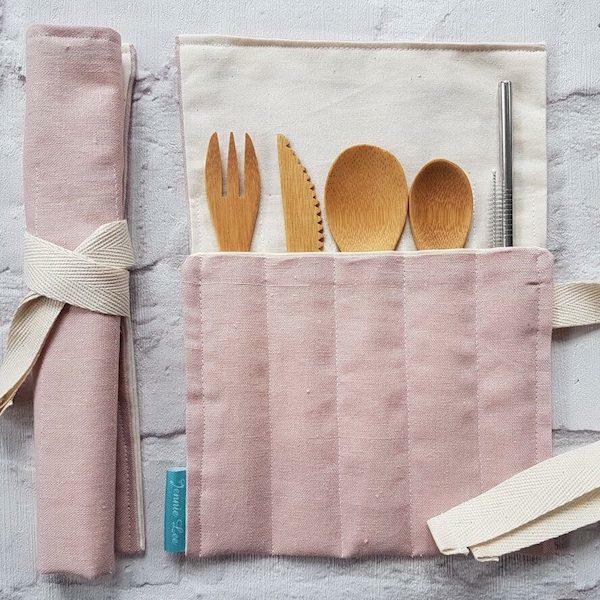 Eat zero waste on the go with these handmade cotton/linen mix cutlery wraps with bamboo fork, knife, spoon, tea spoon, stainless steel re-usable straw and straw cleaner. 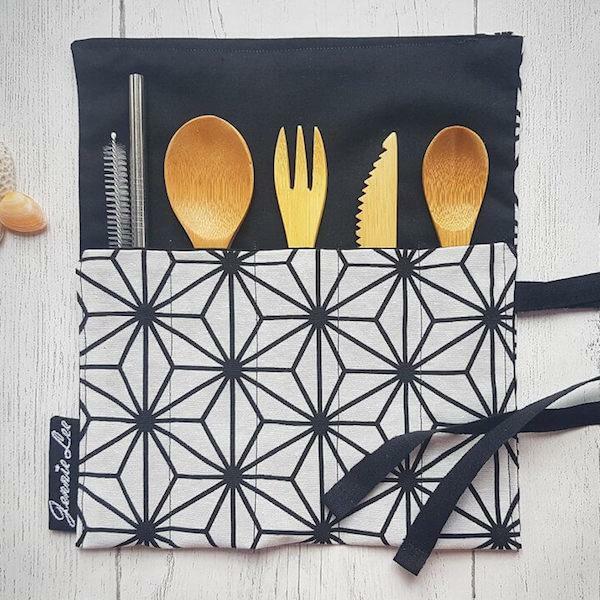 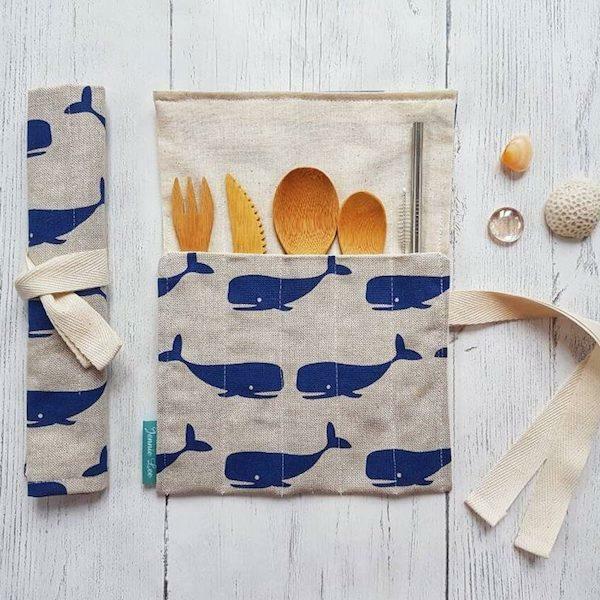 All the cutlery can be washed and re-used and has an individual pocket to hold in place. 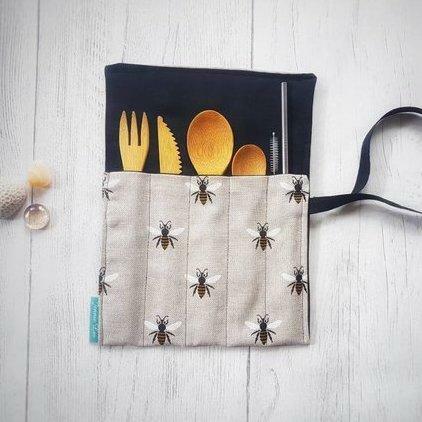 Range of contemporary designs to choose from and if you would to purchase just the cutlery roll without the cutlery you can do so. 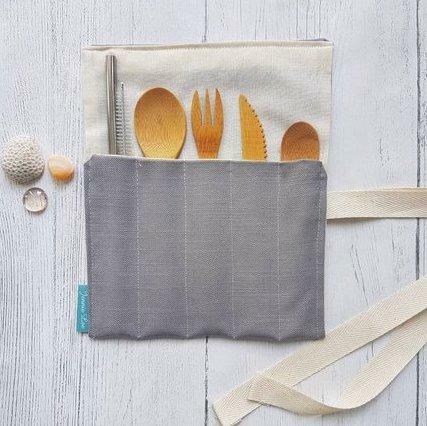 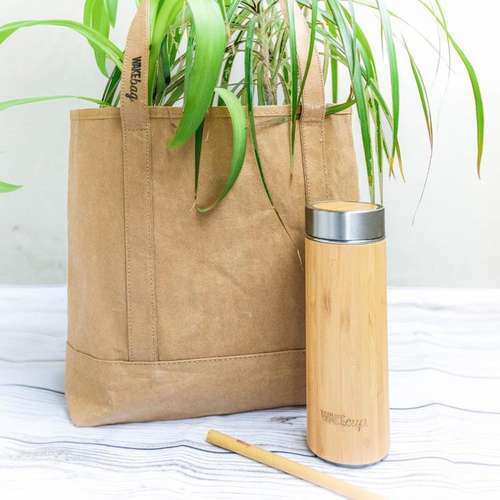 Materials - Cotton/Linen fabric, 100% Bamboo cutlery, Stainless Steel Metal Straw, Metal Straw Cleaner with nylon bristles. 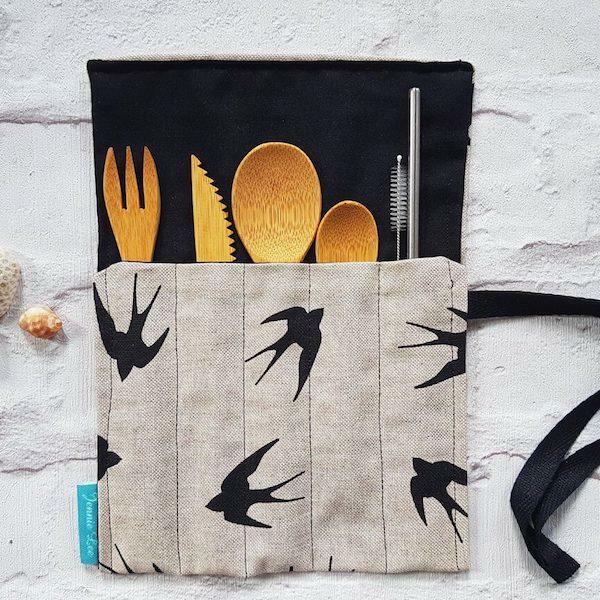 Jennie started making zero waste lifestyle products after becoming frustrated by companies who mass produce disposable plastic waste. 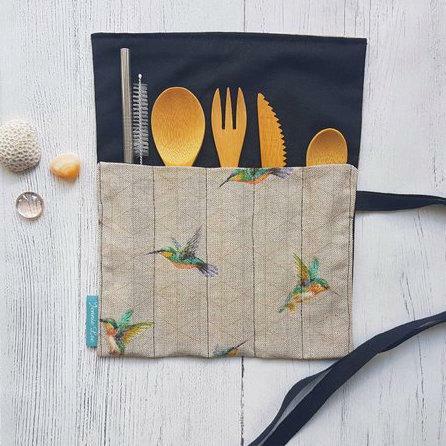 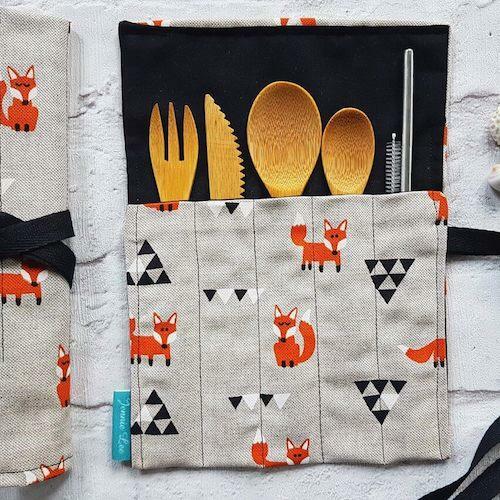 Jennie hand makes all of her products and they are all individually designed to help reduce the use of disposable plastic whilst hopefully inspiring other people to try and reduce the amount of plastic they use. 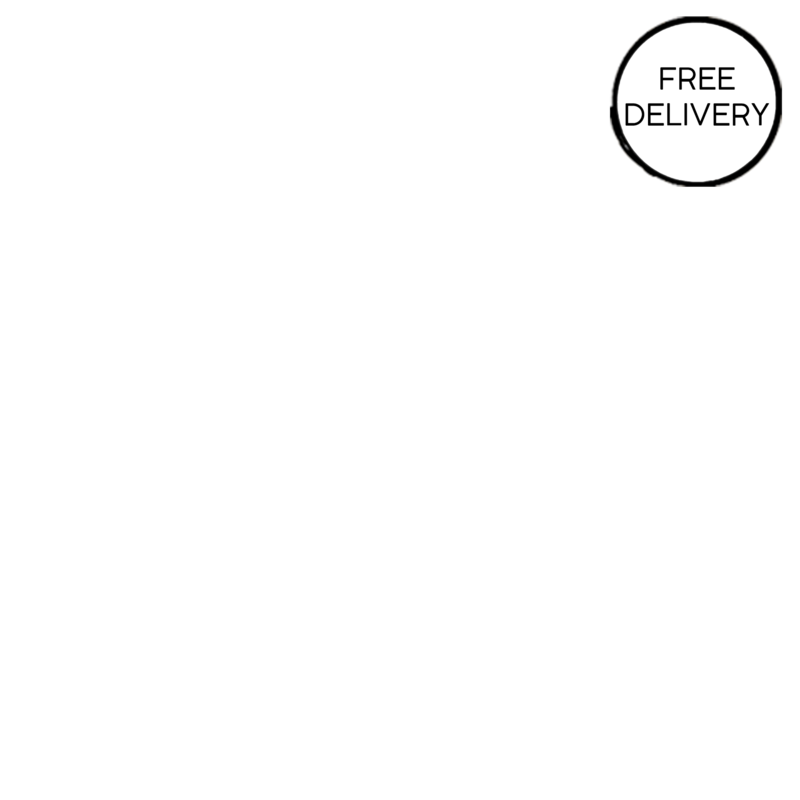 Delivery Packaging - Postal Boxes, Brown paper and brown paper tape.